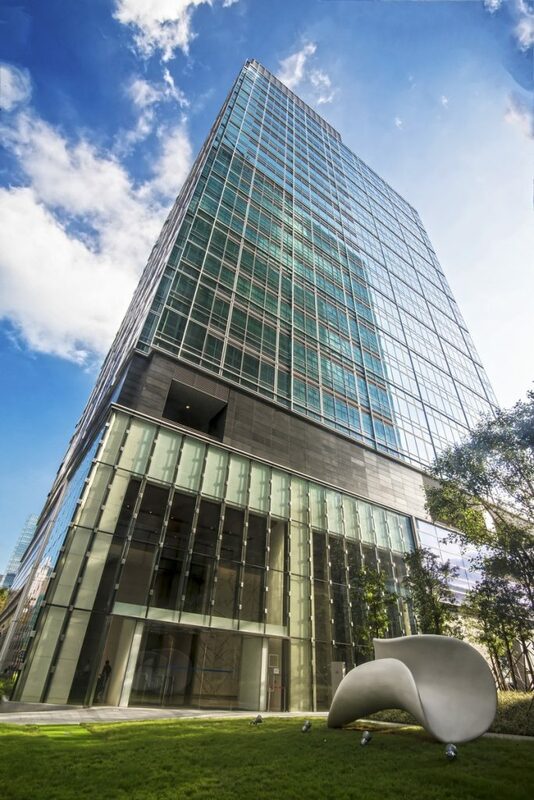 (5 April 2017, Hong Kong) Citi Tower at One Bay East is the latest Citi-owned building to have been awarded LEED (Leadership in Energy and Environmental Design) Platinum Certification by the U.S. Green Building Council — the highest internationally-recognized rating a building can earn from the authoritative certification body in green building practices. Citi Tower at One Bay East is situated on the waterfront of Kwun Tong, Hong Kong. The project, which comprises 18 floors of approximately 301,500 sq. ft. of Grade A office space, is home to over 3,000 Citi staff in Hong Kong. With approximately 12,000 owned and leased facilities worldwide, Citi recognizes that its global footprint impacts the environment. As part of Citi’s Sustainable Progress Strategy, the bank made a commitment to obtain LEED certification for 33% of its global real estate portfolio by 2020. There are currently over 200 LEED-certified Citi facilities globally, which accounts for 20% of Citi’s real estate portfolio. “At Citi, we are committed to incorporating sustainability principles into everything we do. We recognize that our global footprint impacts the environment and the communities where we work. We are actively managing our environmental footprint and looking towards the future on trends in the built environment,” said Rajat Banerjee, Head of Citi Realty Services, Asia Pacific. “We are honored that our commitment in sustainability is recognized by one of the most authoritative organizations in the green building sector. Minimizing our environmental impact not only contributes to operational efficiency, but also supports workplace well being, which is in line with our global Live Well at Citi staff wellness initiative,” said Weber Lo, Citi Country Officer and Chief Executive Officer for Hong Kong and Macau. In October 2016, Citi Tower was approved for WELL Silver Precertification by the International WELL Building Institute™ (IWBI™). WELL is a performance-based system for measuring, certifying, and monitoring features of the built environment that impact human health and well being, including air and water quality, nourishment, light, fitness, comfort, and mind.